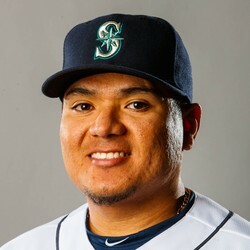 Erasmo Ramirez (2-4) suffered the loss against the Rangers on Friday, allowing six earned runs, four hits and two walks over 2/3 innings while striking out two. Ramirez has been bad lately and has given up 10 earned runs over 6 2/3 innings in his last two starts. Ramirez's next start is currently slated for Wednesday against the A's but fantasy owners should be avoiding the 28-year-old pitcher in fantasy formats.